Size o this luikower: 742 × 600 pixels. Ither resolutions: 297 × 240 pixels | 594 × 480 pixels | 773 × 625 pixels. 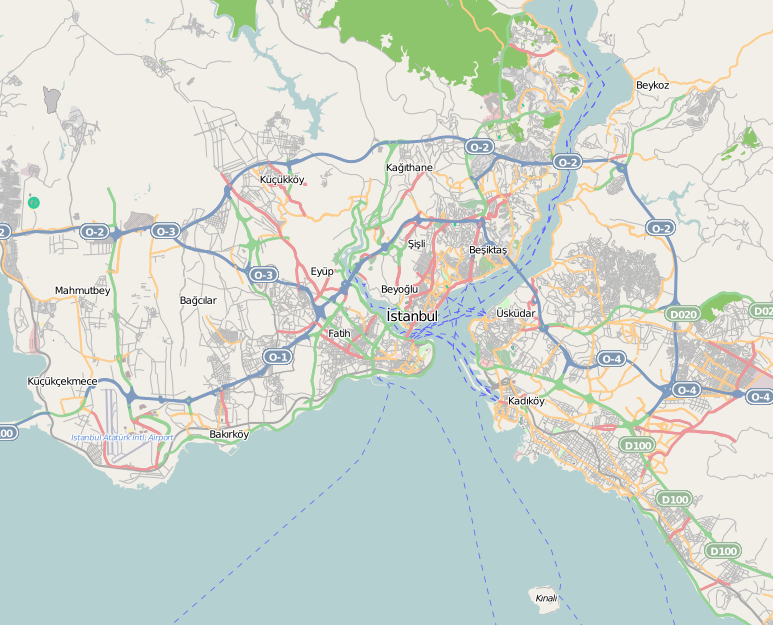 This map of Istanbul was created from OpenStreetMap project data, collected by the community. This map may be incomplete, and may contain errors. Don't rely solely on it for navigation.